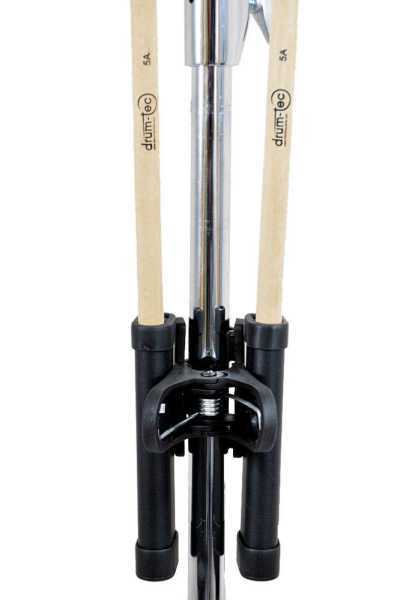 fitting on stands, rack tubes, cymbal arms, etc. I play at home with a Roland TD-4KP set and DTXM12 multipad. I often tweak my module and VST settings during my practice and I was looking for a place to put my sticks so they won't fall down (like from a drum pad or from under my armpit) and I would make my hands free for a while. 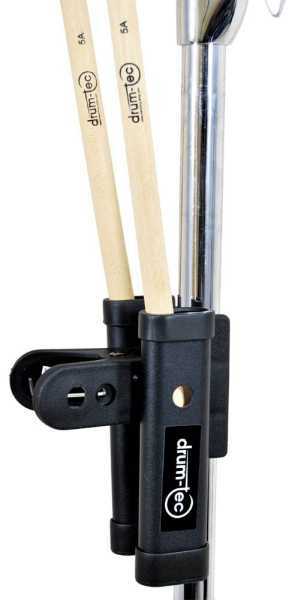 The holder is rigid which makes it easy to insert even both sticks with a single hand, which is very convenient. It was hard to find a place on the drum rack (it's very minimalistic) so I attached it to the leg of my boom stand which is holding the multipad and it never fell off.